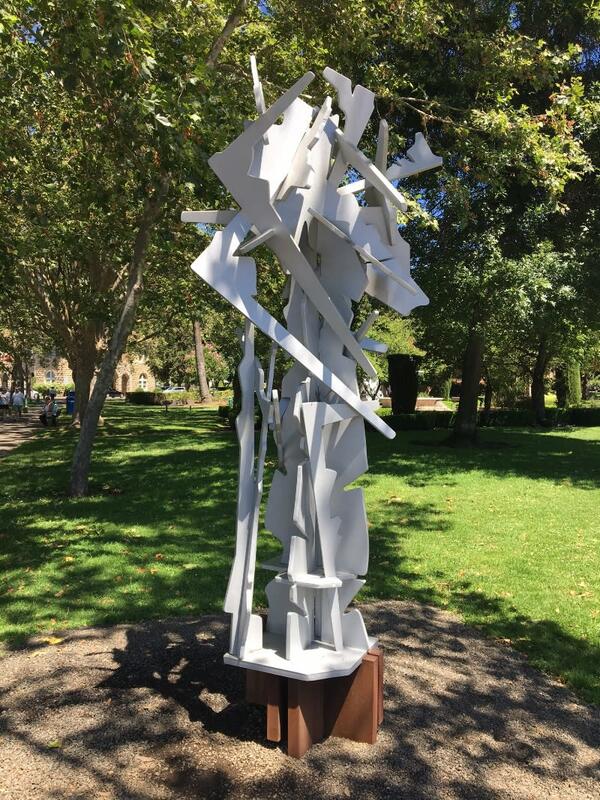 The Sonoma Valley Museum of Art is pleased to announce a public celebration of the Albert Paley: Thresholds public art installation at Sonoma Plaza on Saturday, July 1 at 2PM at the South West corner, near the duck pond. Speakers will include Sonoma Mayor Rachel Hundley; Linda Cano, SVMA Executive Director, and officials from Bank of the West, the exhibition premier sponsors. Chamber of Commerce will perform ribbon cutting and the Sonoma City Council will be present. Walking tours with SVMA guides will follow the celebration. 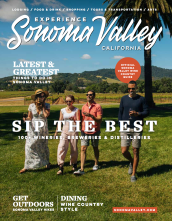 This event, open to the general public, will celebrate Sonoma&apos;s largest ever public art installation and the partnership between City of Sonoma and the SVMA. 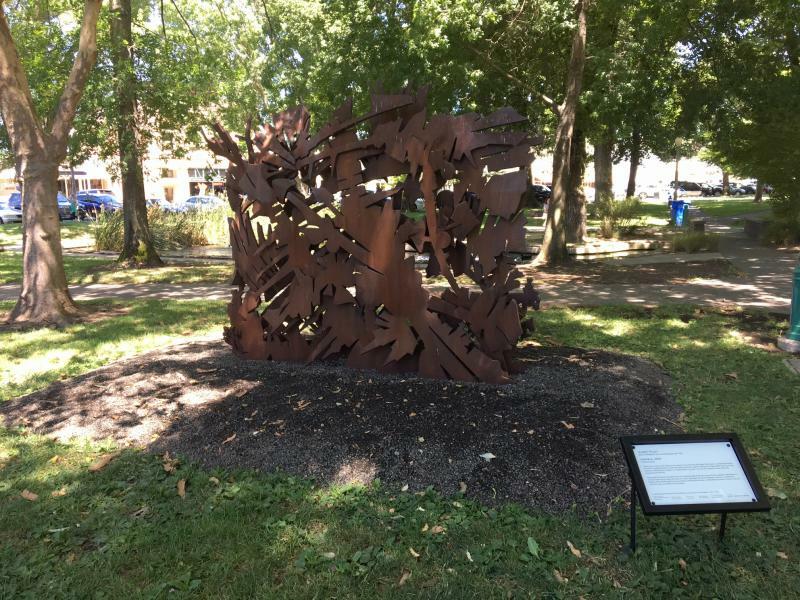 9 large-scale sculptures are installed at Sonoma Plaza, Sonoma Community Center, Depot Park and Museum offices. The Museum exhibition of Paley&apos;s sculptures and drawings opens at SVMA that evening with an opening reception 6PM at SVMA. 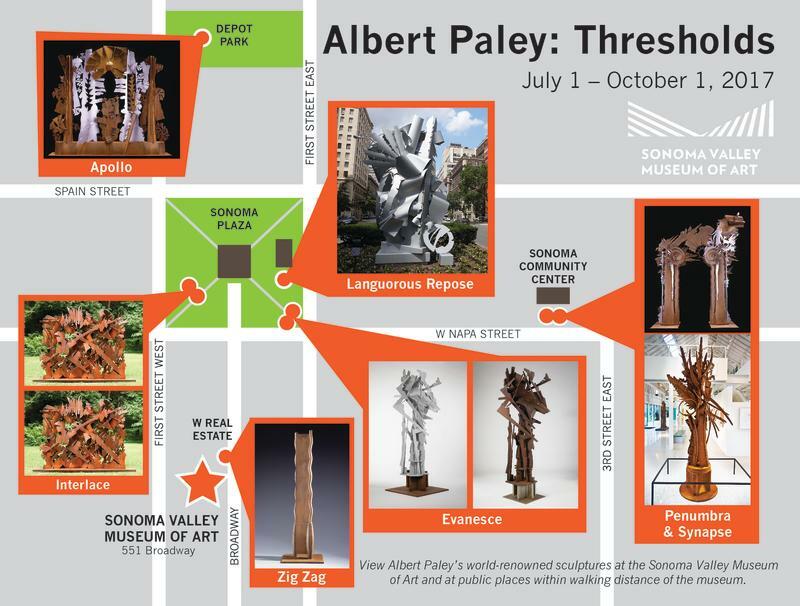 The Albert Paley: Thresholds exhibition runs at the museum from July 1 to October 1, 2017. The Museum will be open from 11AM-5PM July 1. Albert Paley (born 1944) is an American modernist metal sculptor. Initially starting out as a jeweler, Paley has become one of the most distinguished and influential metalsmiths in the world. Within each of his works, three foundational elements stay true: the natural environment, the built environment, and the human presence. Paley is the first metal sculptor to have received the Lifetime Achievement Award from the American Institute of Architects. This exhibition will explore Paley’s process and will feature large-scale sculptures, drawings, and maquettes. This exhibition is presented by Premier Sponsor Bank of the West. As part of its sponsorship, Bank of the West customers receive free admission to the exhibit ion by simply presenting their Bank of the West mobile app or their debit or credit card. Bank of the West employees also receive free admission to the exhibition.